Beautifully Ordinary. 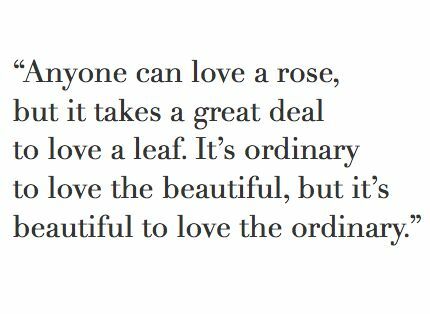 What IS beautifully ordinary? To me it’s something that has its beauty in its simplicity. No complications, no unusualness. Just purely simple and perhaps commonplace. I had an initial idea this morning of something I wanted to photograph for this prompt. A daisy. One of the commonest flowers in grass and lawns. A simple pleasure of my childhood – sitting making daisy chains. No fancy colours, no fancy shapes, just long thin white petals and a yellow centre. 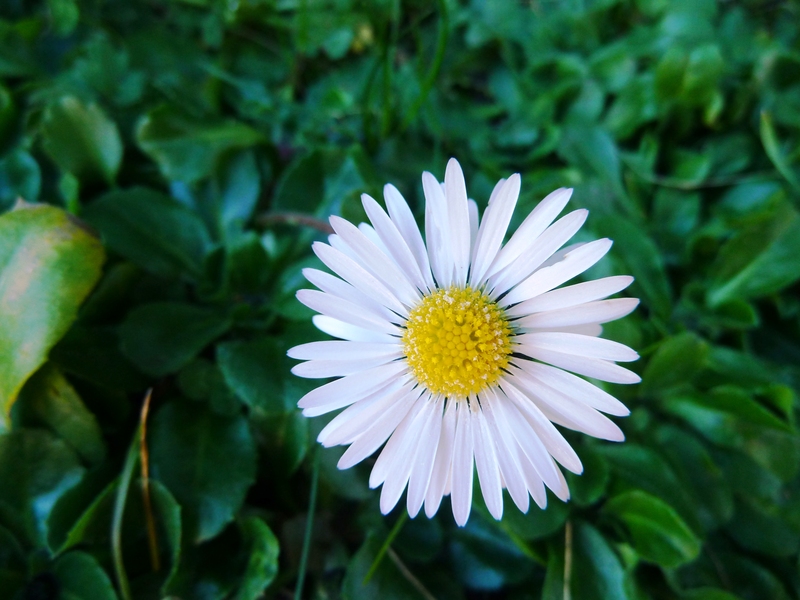 Finding said daisy wasn’t easy…we had two in our lawn today, and one of those was a bit scruffy. But I found one, photographed it and was happy. Then I walked back towards the house and noticed the water feature full of shards of slate. Just a piece of rock. 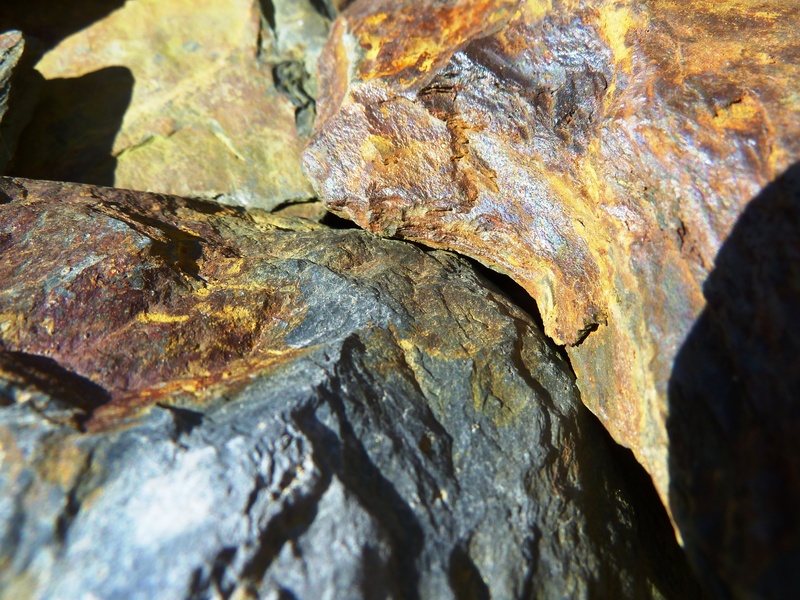 But what a beautiful piece of rock! So many colours in such a small area, all those layers…for something commonly overlooked, it had its own beauty. It is beautifully ordinary, but in a different way. But my discovery wasn’t over. 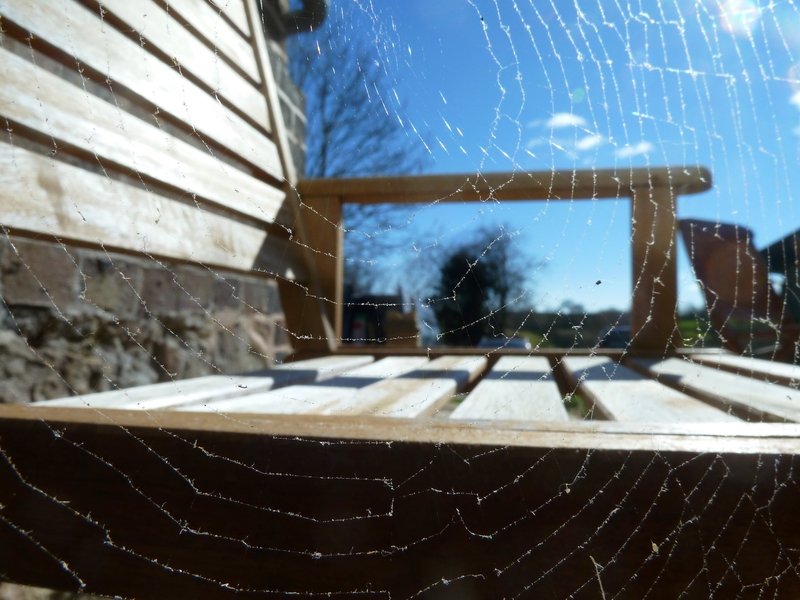 Whilst sanding down the garden furniture I noticed a spider’s web. Why did I so suddenly notice it? Because all the fine sawdust had been collecting on the strands of the web and made it show up more than normal. Now, in our house especially, spider webs are pretty much the norm. There are also quite a number of them on my Grandparents’ decking bannister at the moment. Therefore, I reckon they count as ordinary. But they are by far the beautiful ordinary I have seen today. The intricate pattern, fluttering in the breeze…absolutely stunning. So for these reasons, I struggled to choose on Facebook which photo to use. The simplicity? The overlooked? The common but intricate? I went with my initial idea, because I like to think that was what I meant to take. But the other photos came out so nicely I just had to share them! Which would you have chosen? This entry was posted in Photography, Random Ramblings and tagged beautiful, daisy, ordinary, photography, spider's web. Bookmark the permalink.